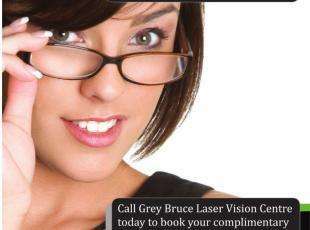 For the past twenty years, my team and I have been quietly performing laser vision correction in Grey Bruce with a growing practice spread by word of mouth. Our policy has always been to perform the safest available excimer laser treatments to improve clarity and quality of vision. Our commitment to Continuous Quality Improvement has in the past been a series of "small steps". Now, with the launch of iLASIK and the opening of our newly renovated Grey Bruce Laser Vision Centre, we have made a giant leap forward to offer our patients the worlds most advanced iDESIGN LASIK technology in a facility that is second-to-none in Canada.